YANGZHOU JIEANDA INDUSTRIAL AND TRADING Co., Ltd. is located in the economically developed, the beautiful scenery of Jiangsu Yangzhou. Production capacity of about 300 thousand units a year. 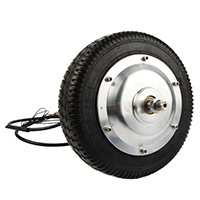 The main production of small high speed brushless motor, 14 inch integrated motor, motor spokes.